This course is a must for anyone in financial planning as it addresses the real and growing issue of our roles and how we must be aware and adapt to dealing with our clients that may be entering the early stages of dementia. Well done, fast moving, and worthwhile information! Thanks for a nice concise course with good principles explained. While not a financial planner that sells any product (I am an hourly based fee only financial planner (CPA, CA, R.F.P., CFP), I work a lot with seniors, and have several with various stages of dementia (including my mother-in-law). I have volunteered in the past with Alzheimer PEI, and am quite familiar with the disease symptoms, but the course was a good refresh and a nice ethics angle. Thank you for the great avenue to explore this scenario and think it through methodically. Yvonne gives an approach to problems in this area that allow us to work through situations in relation to the ethics and standards that the CFP designation supports and upholds. I found the course content to be very relevant and informative. Thanks Yvonne. 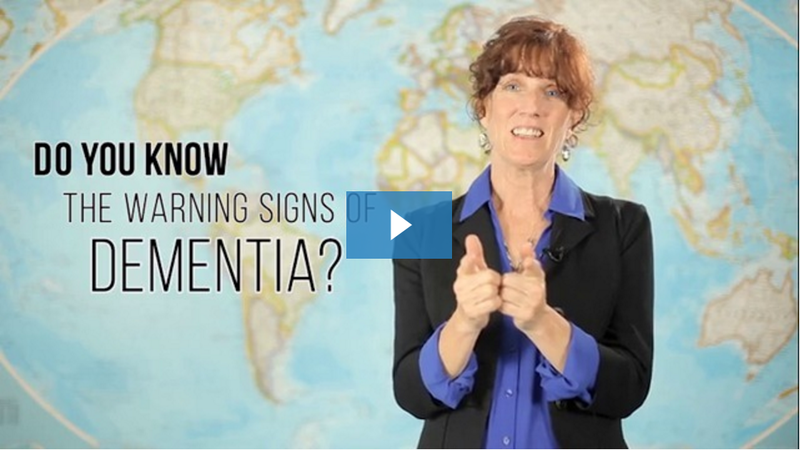 Click on this video to learn details about Yvonne and Vancouver Dementia Care Consulting. Yvonne is an Elder Planning Counselor who is passionate about creating dementia-friendly communities through education and empowerment. Her courses are fun, informative, and particularly useful for persons who treat or advise elderly clients. This course is available to you for 30 days regardless of when you complete. Feel to review the material and share your knowledge of dementia. This course is NOT accredited in 2019.